Bavaria Yachts has officially launched its new Corporate Design at the interboot in Friedrichshafen and celebrated great successes with the German premieres of the Cruiser 32, Cruiser 55 and Sport 28 at the same time. To meet today´s modern expectations and to demonstrate Bavaria´s visions and values, the new Corporate Design is staged as the new brand concept. Despite the modern take on the logo and the design, the concept is still closely linked to Bavaria´s heritage. Bavaria stands in an atmosphere of departure with innovative Designs of the Cruiser 55 and Deep Blue 46, which were designed in close cooperation with Farr Yacht Design (only Cruiser 55) and BMW Group DesignworksUSA, a subsidiary of the BMW Group (both), and the shipyard is welcoming a new era. To demonstrate this in a self confident manner, Bavaria has concerted a distinctive, new logo. The reasoning behind the new logo is Bavaria sets the flag. With the flag as logo, the Corporate Design predicates on a known, maritime symbol with high impact. Whilst the colours awaken emotions of heaven and sea, the compass conventionalizes the reference to the brand´s history. Bavaria will demonstrate a worldwide, united brand concept, which will be reflected within prospects, advertising campaigns, exhibition stands as well as other marketing and communication material. In addition to the new brand concept, Bavaria has also come up with a brand claim. The new claim What A Yacht emotionally collects the rational core of the brand and is fitting for both sailing and motorboat yachts. This claim expresses Bavaria´s knowledge to offer the customer a lot of boat for not a lot of money and all of that to an outstanding quality. KCS International Inc., parent company of Oconto based Cruisers Yachts and Rampage Sport Fishing Yachts, recently named Paul Cherney the company’s vice president of sales and marketing/general manager, where he will be responsible for all sales, marketing and customer service in addition to product planning. Cherney joins KCS after serving as the senior vice president of sales and marketing with Hatteras and CABO Yachts. Cherney brings with him more than 15 years of marine industry experience, including an instrumental role in the development and launch of Meridian Yachts in 2002. With the much anticipated introduction of the Squadron 41 in the summer of 2010, Fairline will be branding all its future flybridge models as Squadron rather than Phantom. This will streamline future production to two model ranges - the Targa express cruisers and the Squadron flybridge boats. With over 40 years experience Fairline has historically responded swiftly to changes in consumer demand and market requirements to ensure that model ranges and product offerings are contemporary, relevant and compelling for the boat buyer. The introduction of the new smaller Squadrons marks a defining period in Fairline's history. The line up to be rolled out over the next five years will be fifteen models from 35 to 85 feet, which will be one of the largest and most comprehensive ever offered. The Fairline Phantom model was first introduced in 1974 with the launch of the Phantom 32 and hundreds of these classic models have been sold world-wide over the last twenty-five years. Fairline has released its first 2010 motoryacht featuring Garmin navigation, following a supply agreement between the two companies announced in the summer. US-headquartered Garmin supplied the navigation equipment for the Targa 38, which has left the Fairline factory for delivery in Turkey. The 2010 model Targa features the touchscreen GPSMAP 5000 chart plotter series, VHF radio and GHP 10 Autopilot with Shadow Drive. Garmin announced in June that Fairline had chosen to fit its equipment across the Fairline range. Satellite navigation specialist Garmin has designed, manufactured and sold communication and navigation products since 1989. The company has subsidiaries in the US, Taiwan and the UK. During the traditional Ferretti Group Meeting, at its seventh edition this year, the Ferretti Group presented the preliminary 2009 results for the nautical year ending at 31st August 2009. Although the year was characterised by a particularly negative macro-economic situation, the Group performed better compared to the nautical market trend. Indeed, as at 31st August 2009 the Ferretti Group registered preliminary Revenues of around 800 million Euro. This result, although less than 12% down compared to the 900 million Euro registered on 31st August 2008, is better than the one achieved by the nautical market in average, which registered a drop of between 20 to 30%, over the last year. This occasion comes at the end of a complex year for the Group, which has managed to respond to the demand of a nautical market that has changed significantly, thus reconfirming itself as one of the greatest examples of Made in Italy in the world. At the end of July 2009, the Group appointed its new Board of Directors and Salvatore Basile as CEO. These important measures have been taken in order to implement the strategic Plan carried out over the past few months, which will enable the Ferretti Group to consolidate its leadership in the nautical sector and continue the growth process, which has characterized its 41 years of history. Given this context, the Ferretti Group has implemented and is continuing to implement a series of measures aimed at strengthening the synergies of a Group, which encompasses 9 of the most famous and historical brands in the world of pleasure boating panorama and boasts the most advanced skills in terms of naval research and design. With the aim of responding to an increasing need for flexibility and speed in decisions, along with the ability to understand and anticipate its clients demand, the Group has modified its internal organization, centralizing the various functions while focusing on the characteristics and distinctive features of each Brand. The Industrial and Commercial Directions will play a key role, alongside the Organization and HR Direction, the Financial Direction and the Strategic Planning Direction, the latter of which has been created with the aim of best facing the challenges of today’s nautical market. Alongside these directions, the Group Communication will have staff functions. From the technological innovation point of view, the Ferretti Group is continuing to launch important innovations to order to satisfy the demand of Clients all over the world. In fact, the Group will launch an impressive 15 new yachts from this month till the end of October 2010. 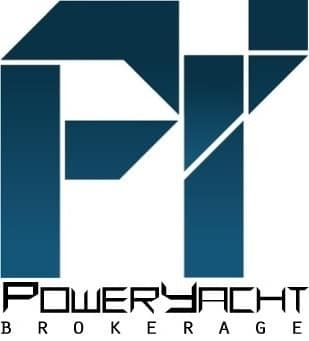 The Festival de la Plaisance of Cannes, the first boatshow opening the new nautical season 2009-2010, offered a very special event addressed to VIP people, media and owners of all around the world. During the Gala evening, the most exclusive yachts took part to the sea parade in front of the Carlton hotel. After the parade, it has been held the "World Yachts Trophies 2009" assignment to the winning shipyards by Luxmediagroup, worldwide network of nautical magazines at its seventh edition. After a long selection among the yachts project accomplished from July 2008 and July 2009, the worldwide specialists panel assigned the "Best Layout" award to Ferretti Altura 840 for the yachts over 24 metres category. Made by the cooperation between Studio Zuccon International Project and Ferretti Group AYT, one of the most advanced research and development centre in the naval sector, Altura 840 represents the perfect synthesis between the aft cabin motoryacht project, with the master cabin aft, conceived for medium and long range cruising, and the flying bridge based on a design solution that allows no compromises on the high quality, technology, comfort and design typical of Ferretti. The Altura 840 marks an evolution and renewal for the yard, extending the historic series born in the mid-1970s with Altura 42 a fibreglass motorsailer inspired by the principles of light, comfort and safety. This was followed in the 1980s by the Altura 46 and Altura 49, pioneer models that opened up an age of motoryachting with cutting edge innovation, arriving at Altura 690, the 21 metres launched in 2005 which gave inspiration to the last born Altura 840. During the prize ceremony, the "Best Layout 2009 over 24 meters" has been withdrawn by Norberto Ferretti, President and founder of the Ferretti Group, from Gianni Zuccon from Studio Zuccon International Project, who gave birth to the Altura project and from Marco Segato, Vice President of Sales of Ferretti Yachts. Limburg yacht builder has been awarded a ‘Rating 1’ certificate by Dun & Bradstreet. Linssen Yachts BV has received the ‘Rating 1’ qualification from Dun & Bradstreet. This is the highest reliability rating for companies and implies an almost zero risk of insolvency according to the D&B standard. 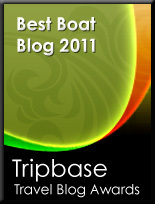 What’s more, Linssen has also been designated ‘Best of Class’ within ‘Rating 1’. This is the highest qualification the agency has. Dun & Bradstreet, founded in 1841, is regarded as the world’s number one commercial and credit information specialist. Linssen has taken 20 orders from 6 different countries in the period from June to August. It was remarkably busy, both at the European dealers and in Linssen’s central showroom in Maasbracht. The Dutch builder said that buyer confidence is returning, and naturally it hopes the trend to continue. The two limited editions in the ‘9’ series, the 33’ and the 43’, went down particularly well in Germany and the Benelux countries. Moreover, serious requests for information in August were twice that of June and July. This is an unusual development in the holiday period, helped by nice sunny days. In a positive sign for both current and prospective Meridian Yachts owners, Meridian’s parent company, Brunswick Corporation, made a decision at the height of the recession (Q4, 2008) to make a significant investment in the brand by relocating all manufacturing operations from Seattle, Wash., to an existing facility in Palm Coast, Fla. The Florida facility, which has been in operation for almost 25 years building Sea Ray Sport Yachts and Yachts, provides Meridian with a much improved work-flow, direct water access for testing and delivery, and closer proximity to international shipping ports for Meridian’s expanding global consumer base. Migrating production required some time, as tooling was moved from one corner of the country to the other. However, Meridian had built a reserve inventory of boats to sell to dealers during this manufacturing downtime. Encouragingly, the reserve has dwindled quicker than initially expected, setting the stage for strong manufacturing operations as boat models come back online in the Palm Coast facility. The first few Meridian boats produced in the Palm Coast facility – all 391 Sedans have been completed and shipped to dealers. Mochi Craft Long Range 23 hits another important goal. At the Festival International de la Plaisance, first appointment of the nautical season 2009-2010, the revolutionary yacht which makes it possible to cruise in "Zero Emission Mode" was the only boat winning two prizes: the "Trophée de l'Innovation 2009" and "Best Layout 2009" in the yachts below 24 meters category. The prizes conferred by the experienced and international jury in the prestigious "World Yachts Trophies 2009" location - organized by LuxMedia Group and come to its seventh edition – reaffirms Long Range 23 as the most innovative large pleasure boat equipped with hybrid propulsion system. It is in fact the only boat in the world to obtain the RINA "Green Star Clean Energy and Clean Propulsion" certification, the most rigorous certification standard that can be applied to a pleasure craft. Driven by the passion of Norberto Ferretti, and made possible by the years of research carried out by Ferretti Group's AYT in collaboration with the Studio Zuccon International Project, which designed the entire layout, the new 75 feet Long Range 23 embodies a real distillation of innovation and technology. At the prize-giving ceremony the "Trophée de L'innovation 2009" and "Best Layout 2009" were received by Group's CEO Salvatore Basile and Marco Segato Vice-President Sales Mochi Craft. Sweden's Nimbus Group claims to have sold more boats than ever in July equaling to 150 boats in one month. The biggest improvement was for the more expensive boats, and interest remains steady. Compared with the same period last year, the value of orders from this summer's sales has doubled. One of the reasons for the record interest in Nimbus boats during the spring is the presentation of several new models: Nimbus 335 coupé, Nimbus 365 coupé, Nimbus 43 nova and Paragon 31. In August, 22 dealers from almost as many nations visited Nimbus' headquarters in Gothenburg to test-drive the new boats. Nord West opens a new showroom all time boat show. The Nord West show room will feature all the new seven model line up from the recently introduced small 370 Sport to the bigger 560 Flybridge models. The showroom also features special second hand boats all refitted by the special workers of the Swedish boat builder. The showroom is a massive two thousand square meters in-door show hall at Vindön, what the company calls a luxurious exhibition facility filled to the rim with new and super conditioned second hand broker Motor boats. The opening hours for this all time Nord West boat show are Monday to Thursday from 08.00 to 17.00 and Friday 0800 to 14.00, with special after working hours dedicated visits possible by appointment. The showroom is also visible all time online thanks to the virtual tour available on the Nord West website. CRN and Riva, two prestigious Ferretti Group brands, have announced a collaboration to launch a project for producing a new line of yachts, measuring 50 to 80 metres. Created by Mauro Micheli and Officina Italiana Design, the team that has designed the entire Riva range to date; the innovative new models skilfully combine the world renowned style and elegance of Riva, with the naval design skill and construction ability of the CRN shipyard in Ancona. The CRN and Riva partnership is not new but has evolved from a strong history. The relationship between the two brands, both now part of Ferretti Group, dates back almost 40 years to 1970 when Carlo Riva decided to annul the agreement Riva had with a Dutch shipyard, in order to sign a partnership with CRN, for the construction of megayachts designed by the Carlo Riva Yacht Division. Besides simplifying logistics and giving Carlo Riva greater control over the process, the original partnership was made with the awareness that the exclusive artisan factor of the work and high technical-naval, plant and style level of CRN were a guarantee of top quality products. Five 23.5m motoryachts from the Marco Polo series and two Vespucci models measuring 90 and 100 feet were launched between 1970 and 1978. Today, the wish to combine Riva’s tradition, heedful of elegance and style, with CRN’s design experience and exclusiveness in the construction of megayachts is renewed, with the aim of servicing an increasing demand for top quality megayachts with a unique, unmistakeable style. The project for the first model in the new line, a 68 metre yacht featuring clean lines, was presented as a world preview at the XIX Monaco Yacht Show on 24th September 2009. Following this, an entire CRN and Riva range will be developed, beginning with a 50 metre model. The new collection will draw its inspiration from the current Riva range, of which it represents an ideal continuity in the megayacht universe. Although the designs slightly resemble some of the models of the past and draw on the historical relationship between the two shipyards; the projects have been devised as yachts of the future, combining CRN and Riva’s natural tendency to innovate with a constant attention to timeless design. The new Riva 86 Domino, just successfully presented at the Festival de la Plaisance in Cannes, has already started catching prizes. Last night, during the traditional awarding ceremony World Yachts Trophies – organized by Luxmedia Group, one of the most important publishing companies in the worldwide nautical industry Riva won with the 86 Domino the prestigious Best Design award for yachts over 24 meters. Norberto Ferretti, Chairman of the Group and of Riva as well, together with Francesco Frediani, Riva VP Sales and Marketing, proudly received the much sought after “Y”. Australia’s largest luxury boat builder, Riviera, celebrates the opening of its new headquarters in Stuart on the east coast of Florida, United States of America. Riviera Yachts USA provides our dealer network and owners in America, Europe, Africa, and the Middle East a support resource for all their sales, service, warranty and spare parts needs, further enhancing Riviera’s quality customer relations. 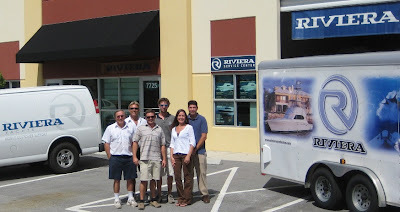 A team of seven highly trained and long time Riviera professionals are on-hand to help dealers or Riviera owners. Riviera CEO John Anderson said the company prided itself on its superior customer service and continued to work with its network of 31 strong dealership locations in the Americas to ensure this level of support and commitment was maintained. Riviera has reported record success with the launch if it’s stunning new 5800 and 5000 Sport Yachts, the 3600 Sport Yacht Series II with IPS, the enclosed 51 Flybridge also with IPS, and the new Motor Yacht range including the 73, 78 and 85 foot models. In Australia, we have altered our business from a growth phase structure to a more nimble organization better able to operate competitively in the current market. Riviera will showcase it’s 41, 45 and 47 Flybridge models, 43 and 48 Offshore Express, and 4400 Sport Yacht at this year’s Fort Lauderdale Boat Show, which will be held between October 29 and November 2. Scale models and plans will also be on display for all of Riviera’s 2009 release. Riviera is proud to celebrate its 29-year history is moving forward in leaps and bounds with innovative and unrivalled designs. Bright spark Craig Folker is on cloud nine after being named this year’s Apprentice of the Year at the 48th Queensland Training Awards on Friday night. The 21-year-old from Paradise Point on the Gold Coast finished his electrical apprenticeship in June this year and is moving forward in leaps and bounds after winning the regional finals, which were held on the Gold Coast in July. The Queensland Training Awards are the State Government’s longest-running and most prestigious vocational awards recognizing outstanding achievement and world-class training. Craig celebrated his 21st birthday on September 5 and felt honored to represent Riviera and the Gold Coast at the state finals. He said winning Queensland’s Apprentice of the Year was the icing on the cake and looked forward to representing the state at the national finals in November. Riviera chief executive officer John Anderson was impressed with Craig’s professionalism at the Queensland Training Awards. Riviera’s electrical manager Rob Wright said Craig had a bright future ahead of him and he wished him every success at the national finals. Minister for Education and Training Geoff Wilson said the awards recognised the importance of skills training. The state winners will go on to compete at the Australian Training Awards, which will be held in Canberra in November. Riviera has today secured an order for a 3600 Sport Yacht Series II with IPS, with the signing of this order, the company’s order book between now and Christmas 2009 is now full. The 3600 Sport Yacht with IPS model will be bound for Western Australia and a pre-Christmas delivery to its expectant owners. The 3600 has been sold by Western Australian Riviera dealer, Beacon Marine. Riviera’s chief executive officer John Anderson said this was a significant achievement for the company in the current economic climate with every boat being built and delivered between now and Christmas all sold to retail customers. Australia’s largest luxury boat builder, Riviera, shipped its first 5800 Sport Yacht across the Tasman this week with a second boat on order for a New Zealand owner and a third bound for Europe later this year. The 5800 Sport Yacht caused a sensation during this year’s Sanctuary Cove and Sydney International Boat Shows, achieving multiple sales during and post these two events. The 5800 Sport Yacht has proved a popular choice among New Zealanders and is perfect for cruising in the City of Sails – Auckland. Riviera’s distribution manager, Australia, NZ and Pacific, Peter Welch said overseas customers were very excited about the new model. The 5800 Sport Yacht design maximizes the indoor-outdoor character and sense of light and space onboard creating a relaxed ambience while entertaining. The greater volume has allowed designers to take both exterior lines and internal design to a new level of sophistication to create even more visual appeal. The boat employs revolutionary Volvo Penta IPS propulsion, an integrated system of marine diesel engines and steer able drive units mounted under the hull with twin counter rotating, forward facing, propellers. This superior drive system offers easy handling and maneuvering even in tight situations and a joystick for easy docking. With a fuel capacity of 2,650 litres (700 US gal), the efficient drive system helps provide a long cruising range at half load for this boat of about 370 nautical miles at 16 knots @ 2400rpm. Water capacity is 750 litres (198 US gal). The 5800 Sport Yacht combines a clever, luxurious design with new state-of-the-art technology, which makes this model stand out from its competitors. A big congratulation goes to Riviera staff having won the Red Cross Blood Service’s Bloodislow Cup challenge for the third consecutive year. More than 200 staff put on a brave face for the nurses at the mobile blood bank as they collected approximately 97 litres of blood throughout the last financial year, helping to save 615 lives. Australian Red Cross Blood Service Liaison Officer Zoe Bargh said that the Bloodislow Cup was a fierce competition, just like the Bledislow Cup. Despite the decrease in Riviera staff numbers over the past year, this hasn’t affected their community spirit and eagerness to do something for others. Riviera has helped save 615 lives, just slightly below their 2006 result where they saved 740 lives. Riviera CEO John Anderson said it was great to see Riviera staff go the extra mile to help save lives. Riviera was presented with the prestigious award on 26 August. Ms Bargh says Riviera has been a staunch supporter of the Blood Service over the past few years. Ms Bargh said that a number of organisations on the Coast are actively involved in the Bloodislow Cup Corporate Challenge and these range from some of the Coast’s largest to its smallest. Second place went to new Club Red Corporate Group Sullivan and Nicolaides, where 6.94% of their employees donated over the past year and 3rd place went to Billabong, who has been long-term supporters of the blood service, with 6.33% of their staff donating during the last financial year. Other organisations and their employees that did a fantastic effort encouraging their staff to donate were the Stella Group, John Flynn Hospital, Canungra Army, Centrelink, Batercard, NAB, Pindara Hospital, Main Roads and Gold Coast City Council to name a few. The Blood Service on the Gold Coast is calling for more to get involved. Only one in thirty people donate blood, but one in three will require blood or blood products at some stage in their lives. This includes people with cancer, heart disease, new born babies, women with pregnancy complications, people with haemophilia as well as accident victims. Sealine reported a good Southampton Boat Show with sales up on 2008. The US owned British boat builder stated it was a very positive boat show with a high response from visitors and from its international dealer network to the new product designs which encapsulate modern design and support the company’s ethos of adventure. The Southampton boat show is the most important show for the UK boat builders meaning this positive trend puts Sealine in good shape ahead of 2010. Sales were achieved on models across the range including the T60 Aura, SC47 and the all new F46 launched at the show. During the show Sealine celebrated the sale of their 150th SC35 Sports Convertible, which was launched at the 2007 Southampton Boat Show and since then has become one of Sealine’s most popular models. Sessa Marine concludes its 32nd Nautic Annual Cannes Festival with a Yacht Award in the "best design for motoryacht up to 24 mt category", confirming the success gained from its boats throughout the festival. This important recognition of the company, a historic name in the Italian Nautic world, honours the tireless efforts and the huge amount of resources invested in the development of this boat, while simultaneously underlining Sessa Marine's unwavering desire to represent the true value of Italian excellence.During the event, organized at the Carlton Intercontinental Hotel of Cannes, Riccardo Radice, Director of Marketing, has taken the award. Aston Martin South Africa unveiled the new DBS Volante and V12 Vantage at an exclusive event for over 1,400 guests at "Taboo". In addition to offering a unique first opportunity to see the two new cars in detail for the first time, the event all comprised a fashion show and charity auction. The event was also the introduction of Sunseeker Africa Ltd to the guests of the evening. The fashion show presented by brands including Roccobarocco, Christopher Chronis, Fabiani, Jenni Button and HTK. Justin Divaris, the Managing Director of Aston Martin in South Africa, then introduced the two sports cars to a spellbound audience. The most spectacular attraction of the evening was the auction of the first DBS Volante in the world with proceeds going to the Nelson Mandela Children's Fund. Mr Charles Priebatsch, a trustee of the Nelson Mandela Children's Fund, was present to hand over the keys to the successful bidder, Vivien Natasen. The DBS Volante was auctioned for an amount of R3, 670 000.00, with the amount reflective of Mr Nelson R. Mandela, who turned 91 July 18th 2009. He has given 67 years of his life to battling racial and social inequality and the Nelson Mandela Foundation and 46664, the advocacy group named after Mandela's prison number. The auctioned car has plaques on the side sill, signed by Mr Nelson R. Mandela and will shortly be at a personal handover ceremony of the DBS Volante in the presence of the esteemed Madiba. CJR Propulsion, a leading manufacturer and designer of propellers and sterngear systems, has won a Gold Supplier of the Year Award from Sunseeker for the second consecutive year at this year’s Southampton Boat Show. Sunseeker’s CEO, Robert Braithwaite presented Mark Russell, Managing Director at CJR with the prestigious award in recognition of CJR Propulsion’s excellent quality of service over the past 12 months, in addition to the continued accuracy, quality, and cost management associated with the CJR brand. CJR Propulsion supplies all sterngear packages to Sunseeker’s shaft driven boats, and the company’s work is evident on the four newly launched Sunseeker yachts currently on display at the 2009 PSP Southampton Boat Show. In particular, CJR has designed and manufactured the largest sterngear package ever made by the company for Sunseeker’s performance motor yacht the new 130 Predator. The sterngear created will enhance the smoothness and performance of the yacht and features a 152mm shaft. The entire package weighs nearly 5 tonnes. In addition CJR has fitted both the 60 and 54 Predator yachts with its new transom hung rudder system –designed to create more room onboard the vessel. Sunseeker’s 80 yacht has also been supplied with sterngear from CJR, which includes the company’s latest fully CNC machined propellers. Vicem Yachts today named Alberto Perrone Da Zara as its new chief executive officer. 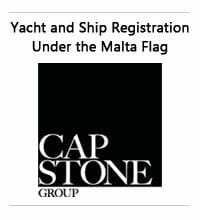 Perrone Da Zara was previously with Ferretti Group USA/Allied Marine. Vicem also recently hired Bob Riemens as project manager for its Megayacht division, and Bruce Livingston as production director. Perrone Da Zara has a long history in the boating industry. He graduated from the University of Southampton in 1992 as a marine engineer and naval architect. He has worked in multiple yacht design firms, including Gerhard Gilgenast, Billoch Yacht Design, Patriot Yachts and Alan Andrews Yacht Design. In 2002, he joined Ferretti Group USA/Allied Marine, and has since held different executive positions within that company. Perrone Da Zara will move to Istanbul to assume the new position. The new route of Atlantis find its way to reality in the form of the 36 Verve. From the concept it was two years ago in the hands of designer Simone Desideri, then to the project announced officially this Summer, the innovative research of the Azimut Benetti Group never stops and this new model from Atlantis is testimony to this. The 36 Verve is a lot of boats in one challenging various categories like big center consoles, rib cruisers, and why not big open boats too. Desideri and Atlantis takes bit and pieces of these to offer an all new diversified unique Sport Cruiser. Its deck accommodation is superlative, with its deep walk around side passage ways, triple helm station, the exterior wet bar with grill, and the six person dining settee which can convert to a well sized sun pad. Still there is to be fooled as one would think the 36 Verve offers luxury above and has nothing below. Wrong again as the 36 Verve has a well appointed interior with a four berth accommodation in a spacious separate master cabin to fore, and a convertible c-shaped saloon settee. The lower deck accommodation has also a spacious galley, and a separate shower head. Performance is fast with the Volvo engines giving top speeds from 34 knots with the smaller standard D4 300hp, going up to 40 knots with the bigger D6 370hp option. 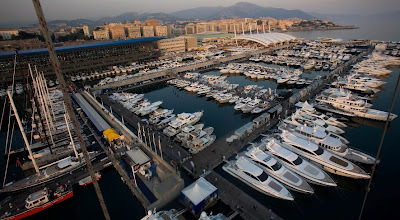 Genoa 49th International Boat Show looks forward to welcoming you to Fiera di Genova from Saturday, 3rd to Sunday, 11th October 2009. Boasting over 1,450 exhibitors and 2,400 boats - from the smalles rowing boats all the way to maxi-yachts, displayed over a 300-thousand square metre exhibition surface both ashore and in the sea. Genoa Boat Show is the leading and most impressive show for all, professional operators and sailing & sea lovers. The 2009 edition comes after a dispute as of Winter this year when UCINA, the Italian boat builders and distributors association was going to boycott the traditional Genoa venue due to price increases beneath understanding. The novelties this year will be quite a few, but here is a list for those of you who like to see the latest New Models: AB Yachts 116, Abacus 86, Abati 58 Eastport, Azimut 40S / 78 Flybridge / 88 Flybridge, Colombo 37 Alldays, Di Donna 38 Serapo, Pisa 90 Akhir, Estensi 440 Goldstar S, Cayman 60 HT, Carnevali 180, CBI 50, Faeton F380HT, Ferretti 740, Fiart 4TFour Genius, Franchini 55 Emozione Open, Galeon 700 Raptor, Giorgi 46HT, Rizzardi 50 Incredible, Posillipo 75 Technema, Itama Fifty, Fipa Maiora 35 Jet, Maxi Dolphin MD51 Cruiser, Amer 116, Portofino 11 Coupe, Rio 46 Art, San Lorenzo SL100, Terranova 60 Explorer, Saver 330 Sport, Solemar 37 Oceanic, and Zeta Elle 10m ZL One. Posillipo continue to update and upgrade its Technema line of motor and super yachts which span from the smaller 65 and go the recently launched 120 flagship. The latest addition to this range is the new 75 Technema designed as the recent 95, and 120 by Architect Carlo Galeazzi. The 75 Technema, is the smallest and fourth model of the newer Galeazzi styled models. Posillipo owners Inrizzardi Group gave some important notes to the designer most importantly to create a family feeling with the status symbol brand, and secondly to create a motor yacht with spaces found on a larger vessel. Galeazzi surpassed the yard expectations creating a format with similar settings as found on a 90 foot boat, albeit a bit smaller. Below deck, is a standard four spacious cabins all equipped with private bathroom and shower layout. There is two crew cabins which feature a direct access to the food store, located on the main deck. The ample owner’s suite, located mid ship is characterized by a separate dressing area and by three ample sized vertical windows present on both sides. 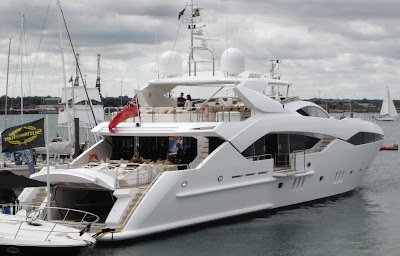 On the main deck, in addition to the large living room, connected to an eight person dining area, there is a comfortable day head placed behind the helm station to guarantee privacy. An unusual setting in this size and something normally found on a bigger boat. In the external styling of the superstructure, while maintaining the family feeling of the most recent Technema's, Galeazzi stressed a dynamic character while accentuating a wedge shape, with the twin lateral living room windows set apart, as opposed to the preceding models, where they were perfectly symmetrical and facing each other. This style effect gives a strong visual impact, with a perception of a more modern and aggressive design. The flybridge above offers a large C-shaped settee, the aft part is a free area set for the use of chaise lounges, while to fore in addition to the external helm station, there is a large sun lounging area protected. Powered by twin MTU 1635hp, the Posillipo 75 Technema has a respectable top speed of 33 knots, and an all time cruise of 29 knots which gives a range of 430 nautical miles. The 37 Oceanic, will be officially presented to the public during the coming Genoa Boat Show, and is the latest boat offered by Solemar. The new Oceanic will be the second large in size in the Solemar range, and was fully designed manufactured by the R&D department of the builder. It distinguishes itself by its lines, design and cutting edge technical contents. The 37 Oceanic was developed for customers who want a Sport Cruiser comfort, but with the agility a Rib can offer even the most demanding waters in total relax and safety. Inner and outer spaces characterise the appearance of the 37 Oceanic model. The main deck offers versatile solutions to fully enjoy summer conditions, while below the layout was designed to offer a lighted interior. From the stern platform, which can also be used as a sundeck thanks to its large dimensions, you access the large cockpit furnished with a U-shaped settee which converts into a comfortable sundeck. Moving forward, there is a living room created by the soft/hard top with removable side windows, provided with a pleasant dining area that is equipped with a complete galley, and a relax area with an elegant chaise lounge. For sun lovers, there is a fore coach roof sundeck, which can be accessed in totally safe conditions through the two side wide passages with handrail. Below deck, the standard layout is for a forward owners cabin, with a double berth in the centre, lighted by means of a square hatch. At the centre is the living area featuring a wide saloon with an L-shaped settee that converts into a double berth, and the head with separate shower cubicle. Astern mid ship of the rib there is the second cabin featuring a double berth. Power for the 37 Oceanic will be twins up to a max of 740hp. 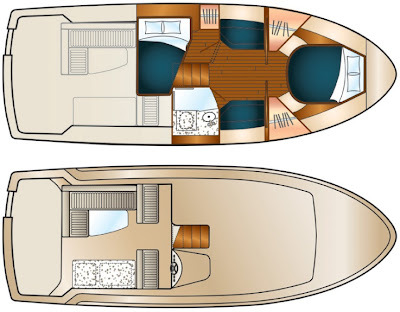 Solemar also offers a high degree of choice to the finishing materials like woods and fitting, but also a layout change is possible, to make each 37 Oceanic a unique product to each owner. Sessa’s much waited flagship model the C68 is finally here. Announced as a C65 back in March 2008 it took over a year to go from project to reality in what would become the Sessa pinnacle model in the form of the C68. As all recent Sessa elegance and power take a distinguish form of features and innovation with glassed window surfaces playing a huge part in the design of the C68. The C68 extends Sessa size offer by sixteen feet and continues Christian Grande design work for the Radice family owned boat builder. Grande presents some surprises most notably is the full beam cabin window which sorts of connects with the main deck saloon lower sweeping design. Interior is characterized by a new dimension of livability, conceived to evoke a domestic setting without sacrificing a nautical but also modern feel. Sessa is praised for the amount of natural light inside, but also the uniqueness for a boat this size of a lit wine cellar. Layout plan is a three double cabin plan with owner suite mid ship, VIP cabin to fore and double guest cabin in between. The saloon plan has a galley located at the stern port side of the interior saloon, l-shaped relaxing settee opposite, and dining are to fore port side, and a double seated helm station to starboard. Power is from twin MAN 1360hp engines with speeds so far not announced by the builder, but expect max speeds in the mid thirty knots region. The Worlds biggest motor boat producer Sea Ray updates its website to a new platform. 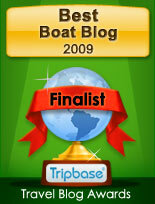 Founded in 1959 Sea Ray was one of the first to start fiberglass boat production. In 1986 Sea Ray became part of the Brunswick Group, what is today known as the biggest pleasure boat holding. The current Sea Ray line up offers forty one different models from seventeen to sixty feet in length, and is divided into four ranges: Sport Boats, Sport Cruisers, Sport Yachts, and Yachts. The new website has seven main buttons on top: Home, Models, About Sea Ray, Customer Service, Owners & Lifestyle, Your Next Sea Ray, and Dealers & Catalogs. Riva's new 86 Domino is a new Super Sport Yacht featuring clean, winning lines designed by long time designer for the status symbol builder Mauro Micheli Officina Italiana Design. This 26 metre open hard top immediately impresses with her balanced beauty showing a unique special personality, through which the aggressive character of all Riva's transpires. This character is further enhanced by the new Metallic Ice colour covering hull and deck house, creating a spectacular, high-impact effect. Designed for those who love sporty lines which in no way affect the yacht's simple style, the new 86 Domino is an evolution of size and concept from the 63 Vertigo, and 68 Ego Super models. Owner and guests can enjoy more space, and a number of different areas for socialising, characteristics which make this yacht ideal for both long cruises and daily life on board. As already seen on the 2008 new model the 92 Duchessa, the Domino also features the large sundeck on the foredeck, featuring a dinette with a table for six. There is further seating aft with another table seating six guests, and a comfortable sofa. The 86 Domino also follows recent trends of a sport flybridge with an upper sundeck perfectly integrated into the lines meaning it cannot be perceived from outside. This area features a second helm station, ideal for mooring manoeuvres, and a sunpad with a reclining back which can accommodate three guests. The closed, air-conditioned main deck upper salon, creates an open space area with the dinette, and is separated from the helm station by a large LCD television. This solution guarantees the passage of natural light both through the large side windows and the windshield, fully lighting this area. The design of the furnishing elements, and the choice to match the special shades of elm and grey with natural-coloured leather inserts and grey lacquering make this an attractive, welcoming environment, emphasising the spaciousness. The fully-equipped galley is located on a middle level between lower and main deck, and accessed from the left hand side of the helm station, whilst the crew cabins for four persons are accessed from the stern cockpit. They feature a head and dinette, guaranteeing total privacy for owners and their guests. The special design of the large window in correspondence with the full beam master cabin located amidships follows the surfaces of the hull, integrating into it perfectly and ensuring as much light as possible in this environment. Equipped with an en-suite head and walk-in wardrobe, the master cabin also has a private living-room area and vanity. The VIP cabin, with en-suite head, is located at bow, whilst two twin-bedded guest cabins with en-suite heads, are located between this and the master suite. The port side guest cabin also features a system of sliding beds on tracks that allows to transform it into a second, double-bedded cabin. Fitted with twin 2435hp MTU engines and a system for managing and controlling all on board functions, Riva's new 86 Domino guarantees an excellent performance and total sailing comfort, reaching a top speed of 38 knots and a cruise speed of 34. Cantieri di Pisa, the renowned yacht builder presents the last two projects of the new line. Undertaken by Camuzzi Group, also owners of the Baglietto shipyard, the new Pisa bosses handed the job to architect Galeazzi who presented a future update to the timeless Akhir lines of the past. The Galeazzi line has five models with the new 90 Akhir above also being the entry level Super Yacht of the Camuzzi Group, who is a unique cooperation specialized in Italian flared super yachts starting from 27 metres and going up to the recently launched Baglietto 58 metre, which is so far the biggest built to date. Inside the 90 Akhir will offer a conventional four cabin layout all on the lower deck, with owners suite mid ship, VIP cabin to fore, and two double cabins in between. Crew cabins are located aft, with a further extra berth available to fore. Speed is a thirty knots max with twin MTUs 1800hp, with a cruise of 25 knots which deliver a range of 450 nautical miles. The Akhir 90 will be constructed as all other Cantieri di Pisa models in fiberglass, to strict RINA C Hull Mach Y standards. The project above of the 153 Akhir will have an important novelty for Cantieri di Pisa, as it will be the biggest ever build by the status symbol Italian Tuscan yard. It will be a three decked Super Yacht, plus a flybridge for the sun worshippers. The standard internal layout will offer six double guest cabins, with owner suite on the main deck, and a full beam VIP cabin on the lower deck. Speeds are an estimated max of 27 knots with twin 4670hp MTUs. Range is a 3360 nautical miles at an economical 12 knots. Crownline presents the 320CR a cruiser with room to entertain guests, power with responsiveness that reflect a sportboat, and amenities below deck for comfortable evenings or extended trips. The bolstered flip-up double pilot's seat has room for two. An enclosed head has a shower, sink, vanity and a VacuFlush toilet. The galley has a flush-mounted ceramic cooktop on a custom counter, cherry cabinets and stainless steel appliances. The cabin has a spacious convertible V-berth, as well as a mid-berth for an additional sleeping area. Standard power is from twin Mercruiser 350Mag 300hp, which had speeds of 37 to 40 knots. A further more powerful 496Mag 375hp option is available. Mainship will introduce two brand new 35 footer in both Trawler and Pilot models in replacement to the 34 feet series. The US builder declares that customer feedback has been the idea about the complete redesign of there medium size offer. Thanks to this the new 35 Trawler will have a second stateroom, and a galley up design. Entering the 35 Trawler salon, many enhancements will be very evident. First, the fully-outfitted galley is located in the aft port corner of the salon. This location results from the new raised dinette area just forward, which provides stand-up headroom in the guest stateroom below. The galley, which features a 2 burner electric stove, microwave, refrigerator freezer and Corian counter tops, features an expansive window view as well. Forward, the raised dinette has a wonderful view. A sofa with optional sleeper or lounge chairs completes the salon aft to starboard, and the lower helm lies just forward of this area. The companionway leads below to the new portside guest stateroom. This cabin features walk-in headroom at the foot of the berth and hanging locker area. In addition, the pillow end of the bed sports two and a half feet of headroom. This layout will work well for couples, families or charter boat companies as the second stateroom provides not only extra accommodations, but excellent additional storage area. Cruising range from Mainship has not been communicated, altough Mainship says that as all its Trawler line will be outstanding also for the new 35. Power options include a vee drive single Yanmar 380hp diesel or a single gas engine. Building on the success of its tried and test 34 Pilot design, Mainship enhances the livability and functionality of the design with key improvements and introduces the new 35 Pilot. Again both customer and dealer feedback played a big part in the development of the new model, so the 35 Pilot draws from the popular earlier model by utilizing the same 34 hull, but with a new deck and interior layout. The salon area will feature UltraLeather seating with two opposing settees, and the cherry plank flooring provides a durable, beautiful sole. The forward berth area has now been transformed to a full stateroom with sliding pocket doors for privacy. The owner cabin has been upgraded to a queen as opposed to the prior smaller V-berth, and there is generous storage space in two cedar-lined hanging lockers and center line berth drawers. Both areas are well-lit and ventilated by the opening screened port lights. The new 35 Pilot will also have a second cabin with an athwart ships double berth. Most notably, this guest stateroom features full walk-in headroom at the entry and a hanging locker area. As with all Mainship yachts, storage is plentiful in this cabin and the hanging locker is cedar-lined. To starboard, the new 35 Pilot features a larger head. In this area, the space has been increased to incorporate a shower compartment enclosed by hinged plexiglass walls. Mainship’s sundeck galley became a hallmark of the Pilot line with last year’s introduction of the 31 Pilot, and the new 35 makes use of this alfresco layout as well. Located on the starboard side of the helm deck, the sundeck galley is fully equipped, sporting a two burner electric stove, microwave oven, refrigerator freezer, stainless steel sink, and extra storage under the Corian countertop. Portside helm deck seating options include a dinette or an L-shaped lounge. Power options will include a vee drive single Yanmar 380hp diesel or a single gas engine. Spanish Italian builder Scarani, presents another new model for the 2009 year with the 30 Coral, what will be the flagship of the four model cabin fish range. The 30 Coral is a interesting sturdy cruiser. offering comfortable over night accommodation for four below decks. The main deck is reserved for the living with four person dinette, and a galley just behind the helm station. As all Coral models the 30 distinguishes itself for its hybrid aim, offering joined cruising fishing capabilities in a small package. Power is available in various options with diesel options starting from smaller 260hp up to 362hp, and is available in the more economic to run stern drive, or vee shaped shaft line for better stability. Petrol option is a unique choice of 440hp, available in stern drive only. Fresh from the success of its new flagship launch, Aussie builder Maritimo announces a new model in its exciting Offshore Convertible range. The new 470 Offshore Convertible enclosed flybridge model is a three cabin, two bathroom luxury Sportfish Cruiser scheduled for launch in December. It will join the successful 500 and 550 models. The Aussie company said that it identified opportunities in the forty to fifty foot sportfish range, with the 470 Offshore Convertible being also its smaller entry level model for those wanting to join the Maritimo family. Among the notable features not found much in this size will be the internal staircase to the enclosed bridge, aft helm position, and a large fishing friendly cockpit. As all Maritimo the 470 Offshore Convertible is aimed at a market for people who love both cruising and the thrill of big game fishing. The cockpit includes an optional live bait well in the transom, and bait prep station over a coolbox forward as well as a sink with mixer tap. A reinforced plate under the cockpit floor provides for installation of a game chair and the wide coaming overlaps into the cockpit for comfortable stand-up fishing and installation of rod holders. The luxurious saloon features a fully equipped galley forward, leather L-shape lounge around a fold-out table in the starboard aft quarter and a large lounge in the forward port quarter opposite the galley. In the enclosed flybridge an L-shape lounge around a solid table can comfortably seat five guests forward of the helm. The bridge is open at the rear, with mid rails and clears providing protection in difficult weather conditions. Twin hatches in the hardtop or an optional sunroof provide both light and air. Forward of the saloon, the accommodation space includes three cabins. A master stateroom to port with a queen double bed and ensuite bathroom, a guest stateroom forward, and bunk cabin amidships on the starboard aside. The forward and starboard cabins share the second bathroom. The new 470 Offshore Convertible apart competing with other maruqes competes also with the bigger 500, having a similar sized flybridge and cockpit, and being only one metre shorter in length. Standard engines in the Maritimo 470 Offshore Convertible are twin Caterpillar C9 turbo diesels, rated to 575hp each, should give cruising speeds of 25 knots, with maximum speeds in excess of thirty knots. Patrone Moreno is an Italian boat builder, located in the Northern part of Liguria, close to Savona. Patrone opened shop in 1922. For the year 2009 the builder is upgrading its range of traditional Gozzo cruisers with two new 27 models. The first which PowerYachtBlog presents is the stylish 27 Open model pictured above. The 27 Open evokes its stylish timeless status, but still features a double berth down below for an overnight stay in a harbour or a nice anchorage. The 27 Open will be powered by twin 225hp Diesel engines, propelled to traditional direct in line shafts. Sea Water presents the project of its new flagship the 500 Convertible. With production and sales of its ten and thirteen metre models well on its way with outstanding results, the Italian Sardinia rib builder has decided to turn its attention to larger boats capable of satisfying the needs of more demanding customers, prompted also by the active interest and encouragement of several clients. Comforted by the good work carried out until now but well aware of the care and effort necessary to design and build such a craft, Sea Water has commenced work on a boat that represents its future, leaving nothing to chance for the construction of what will become as a flagship, the most distinctive boat of its entire range. The new big Sea Water will bring some novelties like numerically controlled modelling, vacuum infusion lamination, and follows its tradition of using state of the art materials, composites, best in components, and accessories. The 500 Convertible will also feature a modular and highly customizable deck layout capable of providing a sporty, high performance, comfortable pleasure boat or in alternative a functional and reliable maxi-tender, chase boat for maxi-yachts. Engine configurations will start at 1600hp and go all the way up to 2200hp, with surface piercing propellers, bow and stern thrusters. A spacious bathroom, a galley and a practical cabin, in the pleasure boat version or a bathroom, a staff cabin plus ample seating and storage room in the maxi-tender setup. Other on board amenities will include refrigerators, ice maker, boiler and a generator. Further optional accessories, custom fittings, and finishes can be provided to tailor a truly made to measure Rib Yacht, in accordance with Sea Water philosophy which has given it so much success. The new Sea Water flagship the 500 Convertible is scheduled to be presented the coming Spring. The second model from Blue Game, the BG60 made its first official appearance during the Cannes show last week, after making a special preview in the end of July, with its surprise showing at the Summer Ceremony at the Yacht Club of Parma which the builder along with its partner San Lorenzo where official sponsors. As it was noted in the project briefings the BG60 has similar lines to the smaller 47, but in a bigger format offering greater flexibility and more comfort, but keeping the walk around deck and the feel of being on a big center console. The hull lines are again as the BG47 from the hands of renowned US architect Louis T.Codega, one of the most respected hull designers, who put the wishes of owners Carlo Bonomi of Sea Tek fame, and Luca Santanella sea architect and Olympic sailor to plan. The Blue Game BG60 can be fitted in various versions, deck and also internal layout plans. 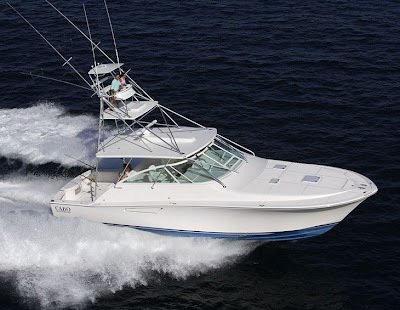 The exterior has a total of seven versions: Open, T-Top, Tender, Marlin Tower, Hardtop, Marlin Hardtop and Fisherman. The deck has four different layouts too: Top, Deck Standard, Deck Fisherman, and Deck Caddy. Inside accommodation has further options with four choices for the forward owners deck, and two further options for the aft crew quarters. Standard plan here is two cabin four berth plan, available in two different options, and a three double cabin with a six berth two head plan. Again the layouts are really endless with Blue Game stating that with the various combinations it can create 2500 BG60 all different to one another. Performance for the moderate twelve degrees vee shaped Codega hull is a 39 knots top speed, with 34 knots of cruise powered in this case by twin MAN 1100hp engines. Grand Banks presents the project of the new 53 Aleutian RP set to replace the 52 Heritage EU. The 53 will be the entry level model for Grand Banks bigger Explorer Yacht Aleutian range. While this will be the smaller Aleutian ever built, expect to see similar standards of the bigger models offering comfortable live aboard spaces on the main deck, and large cabins below. The standard layout is a three double cabin plan, with owners cabin being a full beam mid ship affair, VIP cabin to fore, and third double bunk cabin to port. A double cabin layout is available offering also a salon in the owners suite, and a shower in replacement of the third cabin. Worth to note is also the two separate entrance stair cases for the cabins: one for the owners suite located mid of the main saloon, and another next to the pilot house for the guest quarters forward. There is also the option of a crew cabin which in standard plan is an utility room. 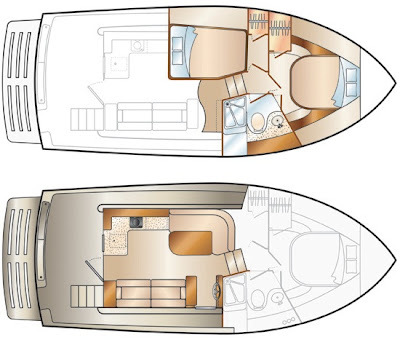 Main deck saloon is also available in two plans, as is the flybridge deck. Power options are three engine choices with the smaller being twin Cummins QSC8.3 593hp, and the bigger Cats C12 Acert 715hp. Max speed is over 22 knots with the bigger choice, and range which is ever important for a Grand Banks owner is always over 700 nautical miles, with a displacement speed of about nine knots. The new Atlantis 40 is a further development of the 39 model, adding to it a nice integrated hard top, a total cockpit redesign, and an extended bathing platform. These improvements will make this model a further hit in the market as it filled what was missing to make the 39 a good boat from a great one, plus the bonus of the integrated hard top. The cockpit now offers a clever redesign with a c-shaped settee to port, l-shaped wet bar opposite, and further sun lounger under the wind screen. Obviously the 40 will keep the grandeur interior the 39 offered which is among the best in its size and style of boat, offering two spacious en suited cabins, plus the bonus of a convertible saloon. Power is from twin Volvo engines with three different choices, starting from the smaller D4 300hp, having a top speed of 35 knots, to the larger D6 370hp, which give wide open throttles of 39 knots. Breaking new ground is a Viking trademark and at the company’s 810,000 square-foot facility on the Bass River in New Jersey, a short hop from Atlantic City. Another emerging chapter is underway with the construction of the new 76 Convertible, slated to premiere at the 2009 Fort Lauderdale Boat Show. To be sure, the 76 Convertible has some big shoes to fill considering 45 Viking 74 Convertibles have been delivered since its introduction in 2004. With even a cursory glance, the Viking 76 Convertible’s profile is reason to pause. The raked stem is aggressive and its mission becomes instantly obvious. Similarities to the 82 Convertible, like its dramatic sheer line, the flush foredeck and a pair of fixed port lights which match lines of the hull are sweeping design statements that merge form and function. The wrap around black metallic mask provides a distinctive and distinguished look, which accents the flowing lines of the flying bridge. 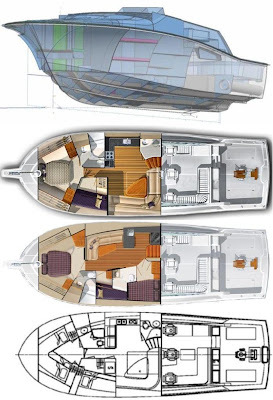 The 76 Convertible will be built as has been Viking experience in 22 years with fine end grain vacuum baged balsa, which is also included in the running surfaces i.e. bottom minus the through hull areas which will be solid glass to avioud corrosion. Inside the 76 Convertible will have two layouts, a standard double five cabin with heads plan, and an optional give cabin but with an extra double cross over berth to fore. Power is from twin Cats or MTU engines, which with the higher powered choice should give a max of about 40 knots, and a mid thirty cruise. 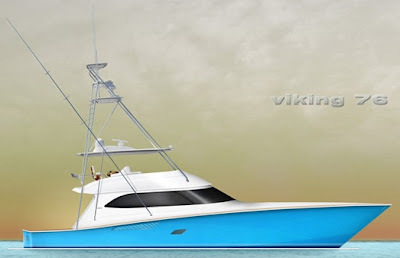 Like all Vikings, it will be manufactured to order and provide its owner a one-of-a-kind sportfishing yacht built to the New Jersey builder exacting design to fish and cruise in comfort, luxury and safety. Sunseeker unveiled its current new flagship, the 130 Predator at the Southampton boat show to high acclaim. The new 130 Predator is also the flagship of the Performance Motoryachts range, overlooking the second sized model in this range by about 22 feet. There are many impressive design elements for the new big two deck and a half Sunseeker. Surely the most amazing of all are the four balconies located on the main deck, two on both sides of the owners cabin to fore, and other two located to mid ship in the main saloon. The standard interior plan offers five double cabins, with the owners suite on the main deck. Crew space is for eight members located to fore of the lower deck. Engines options are twin MTUs starting with the smaller 3140hp up to the bigger 4185hp option. The bigger engine choice should push the Super Sport Yacht 130 Predator to a max speed of 30 knots. Italian builder, Abati Yachts presents its new website. Founded in 2004 by Alessandro Patrizi, Abati started as a story of the past. Looking for his own boat, Patrizi chooses a lobster looking Traditional Cruiser from Austin Parker, and its top of the range 42 model. Hearing in a later stage that the Tuscany Austin Parker was in financial trouble decides to take over the building premises, but to leave the brand name to the owners mostly because of his idea in constructing bigger boats. The first model from Abati was the 55 Portland, a traditional looking model but still having innovations, like the all separated three cabins, which is still a unique feature in its size. The second which was the 46 Newport took a more modern approach. The yard is preparing the launch of three further models the 58 Eastport, an extended flybridge version of the 55, and the upcoming new flagship of the range 64 Freeport which will be available in HT and Fly versions. New Abati showroom has a black background and is available in Italian and English language. The web site has ten main tabs being: the choose, collection, dealer, buy, abati life, owners club, customer care, contact, news, and press. Sanlorenzo updates its 100 model now getting a full modernization in the new SL100 version. The new 100 from the famous Italian shipyard comes by the hands as all recent San Lorenzo models of architect Francesco Paszkowski, who presents an exterior with larger windows to the previous model. The new Sanlorenzo Super Yacht will also be available with a hardtop option as pictured above, and the anchors will also have a nest cover system with hydraulic operated pivot doors hiding them completely once these are stowed in place. The interior design is carried out by Rodolfo Dordoni, who presented a modern concept of light and vision. The standard owner layout offers three similar sized cabin on the lower deck, and an owners stateroom on the main deck. Power is from twin MTU 2435hp which should give maximum speeds of 26 knots. Another exclusive preview from PowerYachtBlog, this time presenting the Sessa 54 Sport Fly just as it debuted at Cannes. This Italian builder has really upgraded itself in the last years, and when one thinks it arrived to the limits, it presents a new model pushing the borders of design and quality a step further. Christian Grande in his first flybridge Motor Yacht for Sessa takes a lot from the smaller open hardtop cruisers and yachts, giving it very sporty looks with a family feeling representing the range. Secondly Sessa also offer easy and fast handling in the marina and not, thanks to the 54 Sport Fly being equipped with the second generation of the larger Volvo IPS II drives, in this case the 900 series powered with 700hp engines. This should push the 54 Sport Fly to an estimated 37 knots max speed. Inside the 54 Sport Fly offers a three double cabin interior which is filled with natural light thanks to the huge windows and the furnishing used. Sessa also says that the 54 Sport Fly is unique for offering two real galley dining areas: being on top of the flybridge, and inside in the main deck saloon. The new Ferretti 740 will make its worldwide debut at the Genoa boat show next month, and will be a replacement but also a further updated development of the 731 model. Result of the cooperation between Advanced Yacht Technology of Ferretti and Studio Zuccon International Project, the 740 is a yacht with strong personality, created with spacious interiors and a design decor where warm tones and precious materials predominate. The main noticable difference from the 731 is the new design larger windows feature on the lower deck for all the cabins. As it is habit for Ferretti the 740 features a classical style but with elegant, contemporary stylistic touches. The external profile of the 740 is sleek thanks to the graphic lines of the windows featuring three distincitve small shark fins to join with the natural element of the sea. In addition to the open view windows of the owners cabin, two new typologies of windows have been inserted in the hull: a window that features an oval shape with two portholes in both the double guest cabins, and an additional one at bow in the VIP cabin with a wider porthole that can be opened. These new windows have been designed to enhance the presence of natural light in every guest zone. On the stern bathing platform there is still the comfy sofa bench which becomes like a mezzanine on the water thanks to an electro-hydraulic movement system transformation. The cockpit, with teak floor, is furnished with a sofa, big table and chairs. 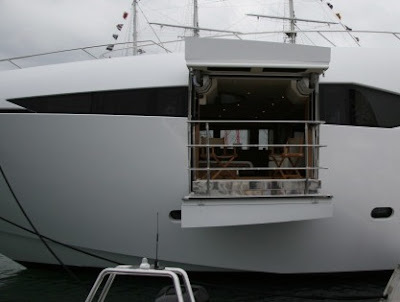 On the left, the stairs give access to the flying bridge where the pilot station is placed further back and in a central position to give a broader view for navigation and piloting the yacht. The pilot seat has a 360 turning circle, allowing it to turn round and join with U-shaped dinette behind. Ferretti 740 will also be available in hard top version with electric opening of the bimini top, a further novelty versus the 731. Inside the 740 welcomes you with a wide salon, that maintains the structural line of the previous 731 model but featuring a new layout, plunged in natural light and offering a cosy atmosphere created by the tones of the materials selected for the furniture and the bleached walnut, used for the first time onboard Ferretti yacht. The interior manages to join living and dining area but keeping a harmonious continuity of space without view interruption. On the left, a wide sofa in a L shape and a comfortable armchair are positioned around a low table. Starboard, there is a TV with pop-up system and an additional sofa for three followed by the stairs to the flying bridge. The dining area separated from the living through wood furniture, features a tempered glass table and chairs for eight guests. The dining zone opens to an access area that connects galley, pilothouse, the exterior and the lower deck, making more easy the access for the crew. The galley is located in a strategic position, between the dining area and the pilot house, in order to let the crew move without disturbing the guests. Once more, the shipyard chose the top of made in Italy with a fully-equipped Ernestomeda galley, with glossy lacquered furnishing in to enhance the light of this area. A sliding door give access to the exterior. At bow is located the pilot house with dinette/charting zone and extendable table. On the lower deck, the Ferretti 740 cabins are distinguished by unique details: bulkheads and walls are covered in light-coloured fabric framing the windows, which allow in plenty of light. The beds have wood structures and have decorated bed-heads. All the cabins have a private bathroom equipped. The full-beam owners suite is located in the centre of the boat, with walk-in wardrobe and bathroom with wenge floor where dominates a wide semicircular shower. Further to fore one finds the two double guest cabins, and at bow is located the VIP cabin. The 740 will be be powered with twin MAN 1360hp or more powerful optional 1550hp units. Both the motorization push the yacht to a max speed over 30 knots. In the beginning of Summer Nord West launched a first boat the 370 SportsTop with a new system called Stern drive Joystick. Similar to the IPS this new drive system has electrical steering, and manoeuvring in harbours can be done very easily thanks to easy to use joystick control. Nord West was among the first users of Volvo IPS system as well as being among the first to make a special designed hull for the propulsion. Every boat can be installed with a maximum of 4 joystick controls. With the new system stern drive with joystick Nord West adds as promised an other fourth model with this easy to use option, the 370 Flybridge following the 370 SportsTop, 370 Coupe and 420 Flybridge, The 370 Flybridge now offers easy to use joystick control added with the efficiency stern drives offer. This option actually makes sense in the 370 Flybridge as much as it does on the bigger 420 Flybridge due to the difficulty stern drives usually offer in marina manoeuvring. Bavaria´s new 28 Sport, was world premiered at the Norwegian Boat Show in Oslo on 2 September 2009. The new 28 Sport, is designed by BMW Group DesignworksUSA, and was unveiled by Bavaria´s CEO, Andres Cardenas, in front of the builders representatives, dealers, and the Norwegian press. Mirrored throughout the design elements are excellently equipped and feature generous spaces balancing comfort, and practicality all with a high-quality finish. The 28 Sport offers a lot of space for its size, starting with the spaciously designed and well-laid out cockpit area, offering a wide variety of sitting areas ensure there will be a favourite spot for everybody on board. And to ensure there is even more space, there are many storage possibilities. The feeling for space continuous in the lower deck reserved for the accommodation, where here a comfortable height in the salon makes working in the galley enjoyable, while the vee shape saloon to fore a group of at least six people can sit comfortable. Sleeping accommodation is for four guest berths, in a convertible vee shaped settee to fore, and separate cabin aft which has also a nice lounger. Power is from five different Volvo options which includes single or twin engines in both petrol or diesel formats. Launched in 2005 the Cabo 52 Express represents the US, California, Adelanto builder way of keeping up with clients who always request a bigger Sportfish Yacht, having at the time upgraded from the 45 Express. Designed by Cabo with Michael Peters, the 52 Express is still as at today the bigger sized boat from the 1991 founded company, sharing its flagship status with the 52 Flybridge launched earlier on this year. Further on, the last fall of 2008 the 52 Express has also been upgraded with a new three cabin layout, putting this open express Sportfish Yacht a tad above its competitors, along with the fittings which have a fame from the many of being a benchmark in the current production boat building offer. The 52 Express makes also its job of a big game sportfish yacht to perfection offering plenty of space on the aft deck, forty knots performance with excellent sea keeping qualities, and a spacious well laid below decks for long days fishing or cruising. Welcoming you onboard in its huge aft cockpit, all free spaced for the fisherman minus the fighting chair in the middle. Here it is full with fishing amenities finding a bait prep center with covering lid, a rigging board, ice box with refrigeration plates, voluminous tackle storage, and a fifty gallon circulating bait tank with a large drain molded into the transom. Move more forward to this and the comforts for the guests start to appear in the form of an L-shaped settee to port, and a wet bar opposite. The helm station is located centrally for optimum visibility in every part with its central adjustable Stidd seat, and two further companionway seats. Command station console has plenty of room for a complete array of modern marine systems, engine electronic controls, color digital read outs, plus an array of custom switch panels with warning lights, and Palm Beach pod mounted single lever electronic controls for responsive easy maneuverability. On the central starboard side is the entrance to the lower cabin deck available in three different versions. The first two are very similar minus the fore cabin, welcoming you with an l-shaped saloon settee to port, spacious l-shaped galley opposite, and day head to starboard just by the stairway. Cabins on the standard version are an en-suited owners stateroom with a central queen sized berth, and a twin bunk to port. The other version distinguishes itself for being what I call a buddies boat having the owner stateroom to fore replaced with three single berths in a vee shape. The new third cabin version changes most of the layout below from the standard version, offering a C-shaped galley, and L-shaped saloon all to starboard. To port side is the three cabins, starting with a double berth, guests shower head, and the double bunk cabin. To fore is the master en-suite with central double queen sized berth which does not loose much in size from the actual two cabin version accept in its en-suite head, which is slightly smaller. Cabo entrusted the underwater sections to renowned hull designer Michael Peters, who offered a modified vee with a deep entry forward, and a medium sixteen degrees deadrise aft. The medium vee compromise is good to flat rough six foot seas going upwind, and give also a comfortable less rolling slow speed beam seas ride. Performance figures are actually impressive, thanks to the lighter weighted cored construction and very big MAN, MTU, and Cat engines. Standard engine is twin MAN V12 1360hp, with options going for MAN V12 1550hp, Cats C32 1570hp, and the bigger C32 1675hp. With Cats C32 1570hp the top speed is forty knots, and a 36 knots all time cruise. MAN V12 1550hp are very close to this being two knots shy away with a top speed of 38 knots. The MANs but do give a better 557 nautical miles range at twenty knots, versus the 452 miles of the Cats C32 1570hp. Cabo did hit the competition when on the fall of last year it presented a three cabin optional version to its 52 Express. Most similar in terms of looks and concept is surely the Viking 52 Open, followed by the Carolina flared Buddy Davis 52 Express. Competitively priced with more economic to run smaller engines is the Riviera 48 Offshore Express. A similar sized custom build currently in construction is F&S Boatworks Hull.15 54 which looks good, although if you can wait for minimum a year a handful of builders located on the East Coast would be glad to build you one. Competition criteria is for a sixteen metres open express Sportfish Yacht. Cabo has been a welcome addition to the sportfish boat market since its inception in 1991. It started its path by launching a 35 Express, challenging the East Coast builders of Carolina and Florida back in those days. While the purist may have overlooked it at the time, Cabo did create what today has become a benchmark of quality being it a sportfish boat or not. This West Coast boat builder is also among the few sportfish builders who does not shy away from modernity, being one of the first of fully coring its boats, and so far according to the company the records did prove them right having no blister related complain in its eighteen year building history. The 52 Express stands at the top of Cabo's ladder being today its largest build, and it does represent a top choice in engineering, attention to detail, and superior accommodation layouts. High performance which can never miss in a Sportfish Yacht is also there offering speeds of thirty knots plus with the smaller engine choice, and of over forty with the bigger options. Picture Copyright Cabo. Data Cabo.